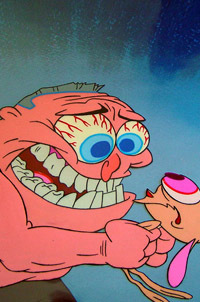 GPIC offers some of the finest and rarest original animation cels and drawings available anywhere. From one of the best collections of Ren & Stimpy production pieces, to one of the longest running cartoons, The Simpsons. Click a "Cartoon" below to see an animation art section.